October has arrived which means fall is here and the time has come to show our love for darker and deeper shades. With this in mind this week I tried a dark mauve shade from #oriflame. I am loving this shade so much. Now as for the application and colour pay off is concerned I am quite satisfied with both. To get the desired look I put two coats which gave it the desired opaque look. The brush is very comfortable to use as well. I also wanted a base coat for some time but could not decide which one to pick so was very happy when i received this in my September FabBag. It has a very strong odour but as long as does its work I am fine with it. 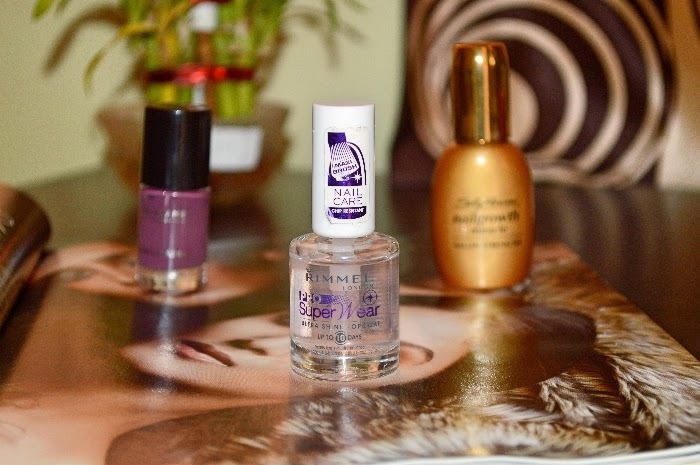 And to finish off my beautiful mani I used the rimmel pro super wear as the top coat. It's claims to make the nail paint last for 10 days which is actually not possible with all the house work. But it does make it last parfectly without chipping for 5 days which is good enough for moi.